Romet EVC Electronic Volume Corrector - IMAC Systems, Inc.
Electronic volume corrector (EVC) allows for compensation of live pressure, temperature and supercompressability. 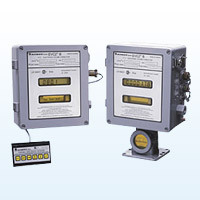 The basic design of the EVC allows for very accurate measurements and long term reliability. Long term commitments to research and development have allowed the EVC to be the instrumentation choice of many utilities and industries.